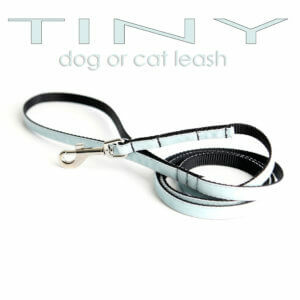 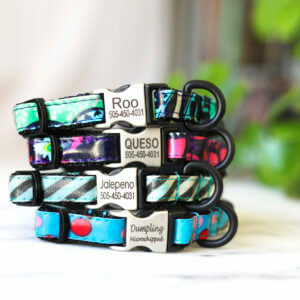 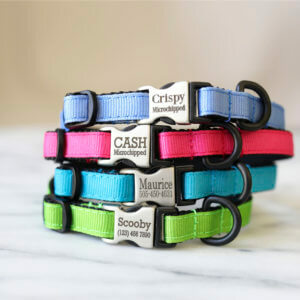 Break Away + ID Collars for Your Super Cool Kitty CAT! 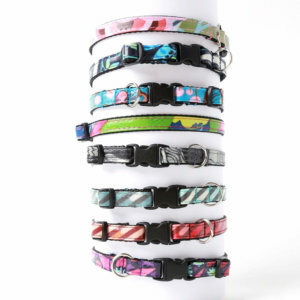 Our purrrr-ty cat collars are made by hand, so your cat will have a fresh,beautiful and practical collar that everyone will know was made just for him or her. 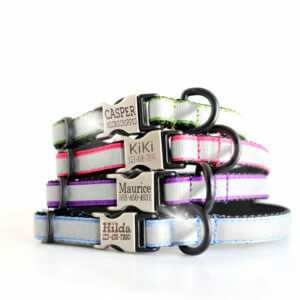 Besides that, our metal buckle collars can be custom engraved with your cat's id info! 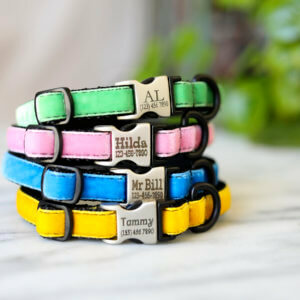 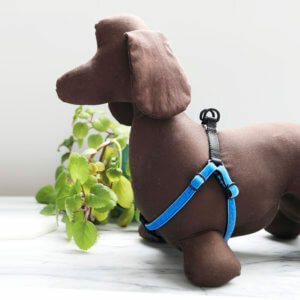 Mimi Green cat collars are as stylish as they come! 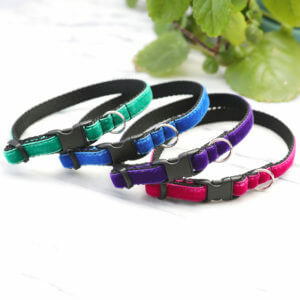 Your kitty friend will thank you for this lightweight, beautiful designer cat collar!